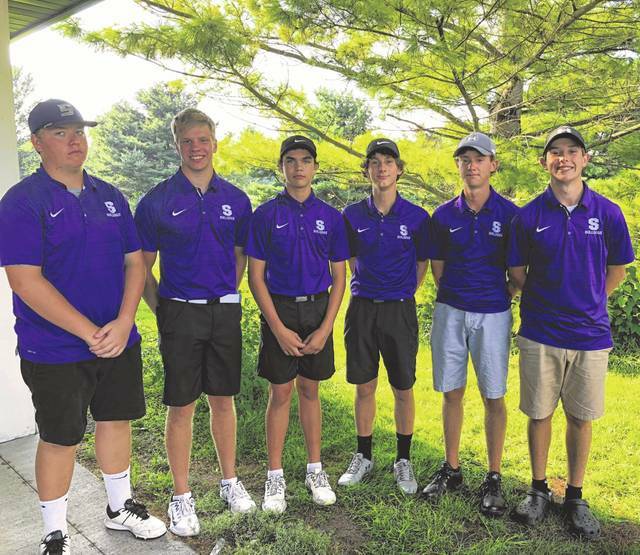 The Swanton golf team picked up a win at a NWOAL tri-match at Spuyten Duyval Thursday. The Bulldogs bested Wauseon and host Evergreen, 167-169-194. SYLVANIA – Swanton bested Wauseon and Evergreen 167-169-194 Thursday at Spuyten Duyval in Northwest Ohio Athletic League golf action. The Bulldogs’ Austin Luce had the low score with a 38. Garrett Swank added a 40, Carter Swank 44, and Sam Betz 45. Dylan Grahn shot a 39 for Wauseon, Eric Parker added a 42, Trent Armstrong 43 and Caleb Leu 45. Zach Lumbrezer had a 45 and Travis Mersing 46 to lead Evergreen. Aaron Miller recorded a 51 for the Vikings, while both CJ Langenderfer and Garrett Betz shot a 52. Swanton next heads to Chippewa Golf Course in Curtice Tuesday to take on Lake.